It is a pleasure to work with a local industry partner who truly sees the value in Career and Technical Education. We have been partners with Eberspaecher North America, a manufacturer of exhaust systems for BMW, for over seven years now. As the needs of the company have changed and progressed, so have the company’s involvement with our Center. They have been proactive in seeking our students as a pipeline for their manufacturing process. We appreciate their serving our Center and our students. 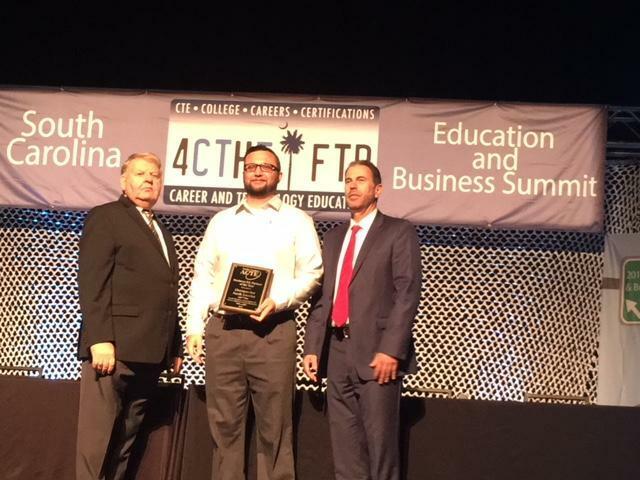 They won our school award and also won the SCACTE State Business & Industry Partner of the Year.